Luna Blaise may be young, but the talented actress turned recording artist is as mature as they come at only 15 years old. 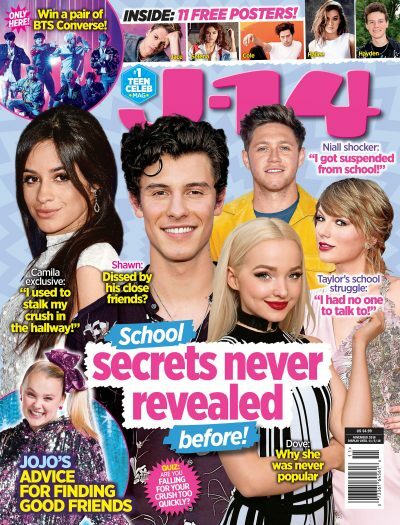 Luna stopped by and hung out with J-14 to talk all about her new music and upcoming projects, but we also asked the starlet to share her best advice on dealing with cyberbullies. Cyberbullying is an issue that everyone faces from time-to-time and Luna wanted to give you some pointers on how to not let it get to you. In our exclusive video, Luna shares her personal experience on how she dealt with hate on Twitter and other social media apps and gives some really good ideas on what you should do if anyone tries to hate on you. Luna also recently released her debut single "Over You" which you can currently check out on Spotify, as well as the official music video. Let us know what you think of Luna's song and her advice in the comments section below.